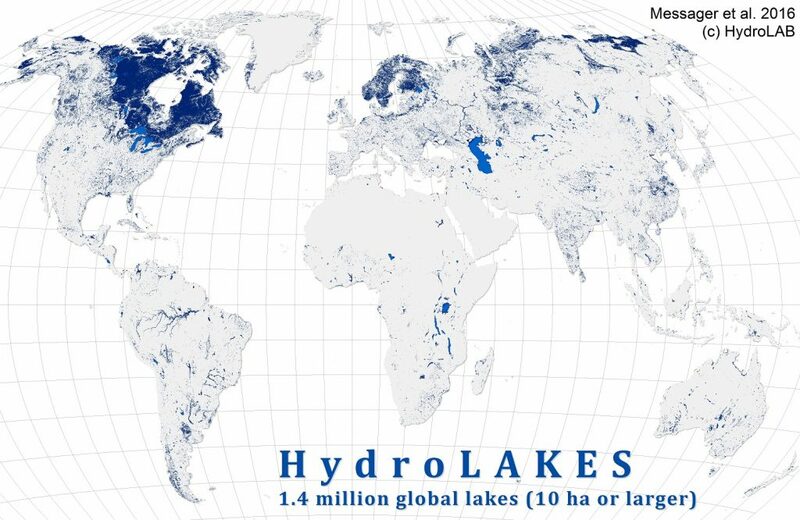 HydroLAKES is a database aiming to provide the shoreline polygons of all global lakes with a surface area of at least 10 ha. Additional attributes for each of the 1.4 million lakes include estimates of the shoreline length, average depth, water volume and residence time. All lakes are co-registered to the global river network of the HydroSHEDS database via their lake pour points. The HydroLAKES database is publicly available at the HydroSHEDS website. Please visit: http://www.hydrosheds.org/page/hydrolakes.